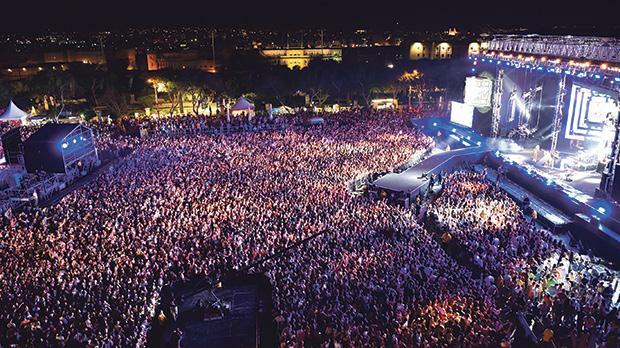 The Malta Tourism Authority (MTA) is insisting that it was MTV that requested tickets be issued for the Isle of MTV event, as industry sources continue to sound privacy concerns. The MTA announced last month that those attending this year’s concert, which is to take place at the end of June, would have to get tickets as part of efforts to improve safety at the event, held at the Floriana Granaries. Those attending the public concert must also fill in details in order to register for the free tickets, with each attendee able to register for four tickets. Attendees can then opt to have their data sent to the MTA “for the purposes of marketing, market research, analysis and related purposes”, a move that has come under fire from informed sources, who expressed their concern to Times of Malta that the information could be used for other purposes, such as data mining. When contacted, a spokeswoman for the authority said, however, that the decision was up to the organisers and it was MTV that had requested that a ticketing system be introduced. Asked whether the same procedure would be implemented for other large-scale events that tended to attract big crowds, such as New Year’s Eve at St George’s Square or Notte Bianca, the spokeswoman pointed out that those activities were not organised in collaboration with the music television giant. Also, according to the MTA, issuing tickets is being introduced so that the organisers can exercise better crowd control and ensure that entrance wasclosed when the area was at its full capacity. Some 50,000 people descended on the Granaries for last year’s edition, with similar numbers being reported in previous editions. Asked for the number of people that will be allowed in before the doors are closed, the spokeswoman said that the organisers would seek experts’ advice before deciding on the maximum number of people the square can hold. “MTV will follow the advice of their safety and security consultants on the maximum number of fans that the square can accommodate and they are confident that they will meet the demand for tickets,” the spokeswoman said. Questions sent to MTV had not been answered by the time of writing.